Sign up here: https://whathub.com/outreach.html. They will send you some informational materials on tolerance, a free button, and free coffee! 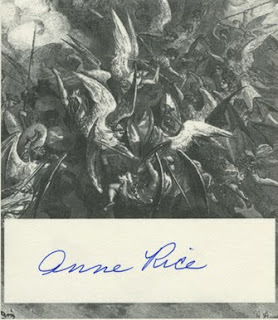 Sign up to receive freebies in your mailbox today (11/4/09) and you will receive a bookplate signed by Anne Rice! You can sign up by clicking the Buy Now icon at the right side of this page for 'You Get Freebies, I Do All The Work'. Pick the $3 option and you will receive tons of freebies in your mailbox for 1 month. Pick the $4 option and you will receive freebies AND coupons! Choose from 3 titles and receive the movie free. Shipping is $2.99 but if you decide to purchase $30 worth of stuff you can use this coupon code to get free shipping: SHIP220. Movie choices are: 'Are You My Neighbor? ', 'Where's God When I'm Scared? ', and 'The Ballad of Little Joe'. I love Veggie Tales! So funny. BAY AREA (Bay News 9) -- America's drive-in will thank customers Saturday with Free Cherry Limeade Day. Company officials say participating Sonic Drive-In locations plan to give away free 14 oz. Cherry Limeades or 14 oz. Diet Cherry Limeades from 2 - 5 p.m.
"We truly appreciate our customers, and are excited to celebrate them with free Cherry Limeades," said Dane Martin, Tampa-area SONIC Drive-In co-op president. "We invite everyone to visit their local Tampa drive-in to enjoy a free sweet and nostalgic drink." Sonic Drive-In started out as a hamburger and root beer stand in 1953 in Shawnee, Oklahoma. Back then, it was called Top Hat Drive-In. The name was officially changed to Sonic Drive-In a few years later in 1959. Free Black Jack Taco from Taco Bell on Halloween. 6 pm to Midnight. Follow the link for a printable coupon for 3lbs of Free Honey Crisp apples from Earth Fare. KFC will be giving away a free piece of grilled chicken again. This article confirms it. The CEO of Yum Brands says things will be more efficient this time and they are not offering rainchecks because they promise to not run out of chicken. The chicken will be given away on Monday, Oct 26. Call your local KFC before you go to make sure they are participating in this. Barnes and Noble is offering a coupon for a free cookie and kid's size hot chocolate good for Oct 24, Saturday. Follow the link and scroll down the list of coupons to find it. Follow the link to print a coupon for a free gift at CVS Pharmacy. You can choose between a 4 pack Disposable Toothbrushes or Absolutely Divine Chocolate Bar. Kind of an odd choice. This offer is valid through 10/25.